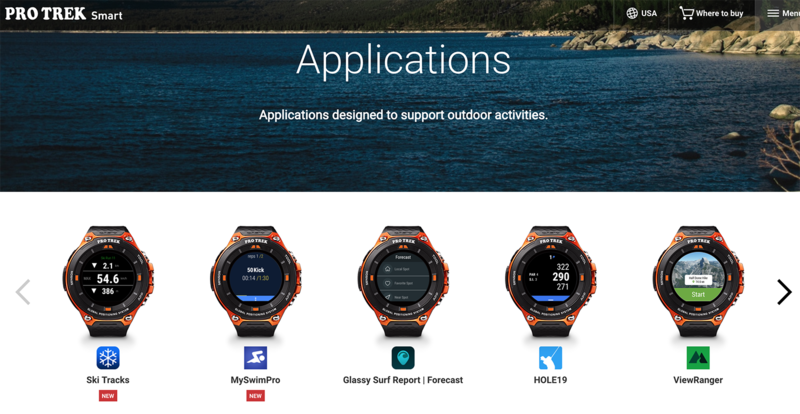 We’re excited to announce that the MySwimPro Android Wear 2.0 App is now available to download on the CASIO Pro Trek SmartWatch. Casio is renowned for producing tough, durable and long-lasting technology. 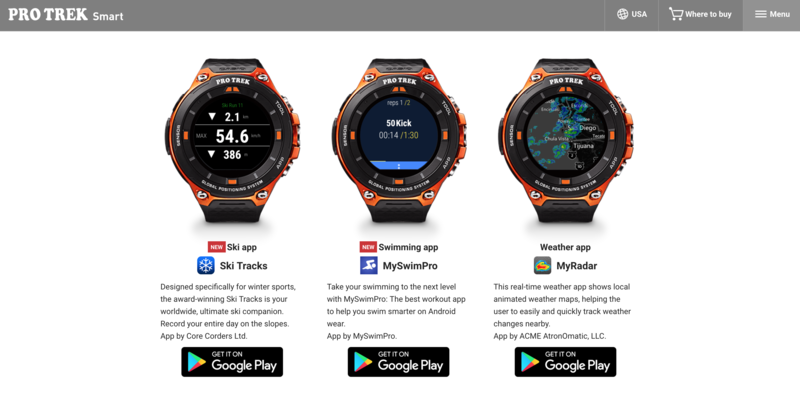 Because of the nature of our sport, swimming can be very tough on technology. 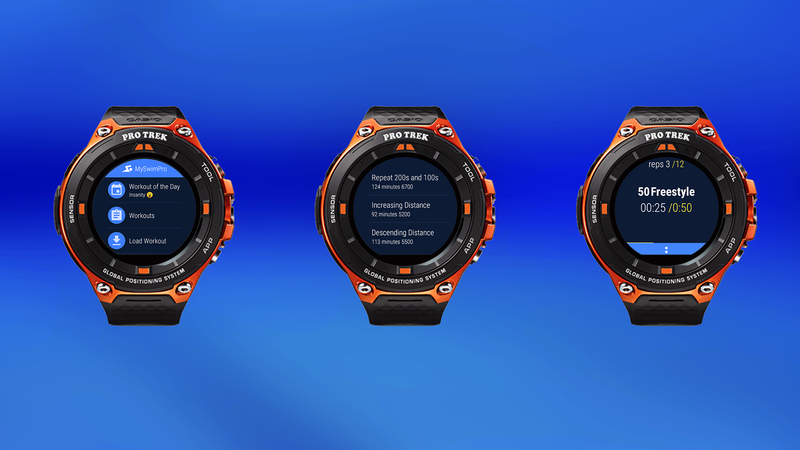 The CASIO Pro-Trek WSD-F20 is water resistant to 50m and runs MySwimPro like a charm. 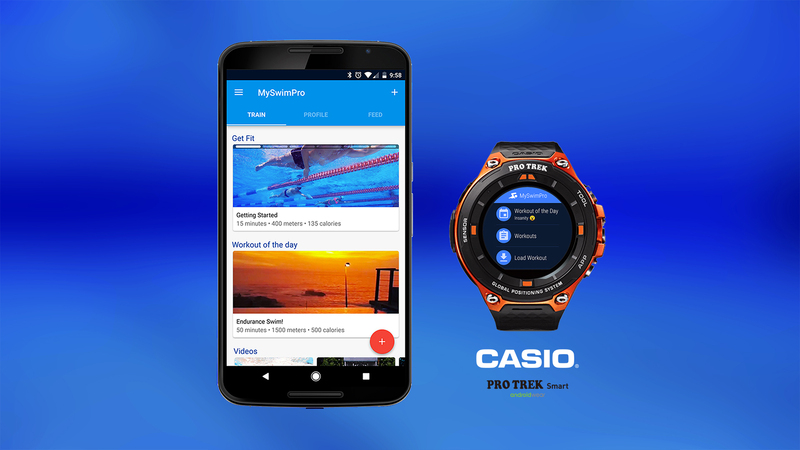 We’re excited to announce that MySwimPro is a recommended app on the CASIO Pro Trek WSD-F20 in partnership with CASIO.